Ok, yeah, so I haven’t posted in a few days. To make a long story short, something happened and I needed to get some help. And I did and am recovering now. I don’t want to bore you all with the details, but I am back, crafting, and hoping to get into the swing of things again. Crafting progress….let’s see….I did make a necklace which I will show off tomorrow and have made some good progress on my sweater. And I completed a pair of tube socks, which are ridiculously cute. Otherwise, perhaps some sewing is in my future as well as some art with sand. I hope to share some of that with you. 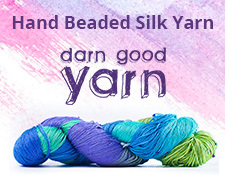 Next Next post: National I Love Yarn Day!